Arthritis is a common disease found in many people in the United States. This disease is characterized by inflammation of the joints, resulting in pain, stiffness, and loss of mobility. Fortunately, there are many treatments available, including stem cell therapy for arthritis. The process uses stem cells from the patient’s own body to help the healing process within the joints. Stem cell therapy has further developed in recent years as a great option for healing arthritis rather than treating the pain that comes with the disease. While other treatments can treat symptoms, clinical studies show stem cell therapy can help regenerate fresh joint cartilage. The process is fairly simple and many studies have shown that the effects are positive, both in the short term and long term. Arthritis is a degenerative disease that eats away at the joints. Everyone has cartilage between their bones that allow for smooth movement. Over time, this cartilage breaks down and eventually can lead to your bones rubbing together with every movement, causing chronic pain and stiffness. • Degenerative Arthritis – Over time, the cartilage in our joints will break down, but it will usually regenerate itself without any problem. However, if it breaks down too quickly, or the joint does not have enough stem cells available for regeneration, the joint will not be able to replenish what is needed and will result in degenerative arthritis. • Inflammatory arthritis – The body inflames on occasion as a way to attack disease, keeping us healthy. Sometimes, our bodies will attack the joints resulting in inflammatory arthritis and loss of joint material. Whether it be elbow, wrist or knee arthritis, symptoms tend to be the same for nearly every patient. Soreness during any kind of joint movement, sharp pains in the joints and loss of mobility of the joints are very common problems that accompany the disease. No matter the exact diagnosis, there are a few options for treatment available that can help. Like any disease, there are a number of ways to treat arthritis. Prescription medication can be used to ease the pain. Surgery can also be performed in order to rebuild the cartilage or replace the joints fully. These are viable options that work for many patients, but there is another choice that has emerged as a much better choice in recent years. One of the best treatments to date is stem cell therapy for arthritis. Stem cell therapies of all kinds have been developing in recent decades and show a lot of promise as a great option for fighting diseases. Stem cell therapy for arthritis helps your body naturally rebuild cartilage where it would not have been able to before. This option is more natural as it allows your own body to be the driver of your healing, and does not simply treat the pain alone. Our bodies constantly lose and regenerate cells of all kinds. When cells are no longer needed, they die and are replaced by “blank slate” cells known as stem cells. Stem cells mimic the other cells around them, becoming whatever that area of the body needs. This is how we can lose cartilage over time but not completely run out. When joint cartilage breaks down, stem cells replace the lost cartilage. However, if the cartilage breaks down too quickly, the cache of stem cells will not be enough to rebuild the joint and patients may end up with arthritis. In these cases, stem cell therapy can help. Stem cells are sourced from elsewhere in the body and injected into the joints that need them. These cells help the healing process, naturally rebuilding your joints from the inside. This option is much more desirable as it works on rebuilding your joints rather than just treating pain when it arises. What is the Process of Stem Cell Therapy? First, stem cells are pulled from the body, usually from bone marrow because it is rich in stem cells. The iliac bone in the hip is a common source for stem cell therapy, but other areas may be used. Bone marrow stem cells and cells sourced from platelet rich plasma are also options for sourcing the cells. Next, the stem cells are injected into the arthritic joints that need treatment. Using a precise needle and precise camera technology, the stem cells are injected right where they need to go. These cells will quickly go to work mimicking the nearby cells, speeding up the regeneration of joint material. After a few weeks, or sometimes even days, most patients feel an increase in mobility and a decrease in pain due to the stem cells transition into joint cells. Some patients experience great results after a few rounds of stem cell treatment for arthritis, while others may experience a full recovery after just one round of therapy. The benefits of stem cell therapy for arthritis are vast. Most patients feel relief within days or weeks of receiving stem cell therapy. A few rounds of stem cell therapy can lead to significant reduction in pain and stiffness and sometimes, a full recovery from arthritis. The process is a quick outpatient procedure that can be done in most doctor offices. The cost of stem cell therapy is also reasonable. Most insurance providers can help with costs. Over the years, the price of stem cell treatments have fallen drastically, from $10,000+ for a single treatment to a few thousand dollars. As time goes on and the technology improves, costs at stem cell clinics will likely decrease further and more insurance carriers will cover the bill. Arthritis is not a problem you have to ignore because there are many great treatments available. Stem cell therapy for arthritis is emerging as an excellent option for repairing damaged and inflamed joints. At Arizona Pain and Spine Institute, we are experienced with the stem cell therapy procedure used to treat and manage arthritis. 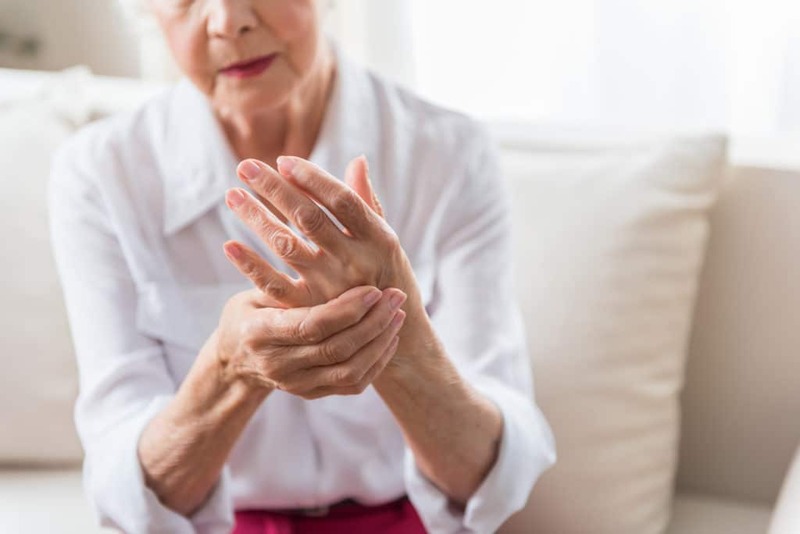 If you are experiencing arthritic pains or have been diagnosed with arthritis, contact us today!